At MaRS Design we help startups to tackle their digital design challenges. Last summer we Skyped with the Doppel Move team for the first time. These four very energetic guys were working on a solution that they hoped would help people suffering from back pain. They were enthusiastic about their idea, but were unsure of how to go about creating the product. MaRS Design offered to help design a mobile app and scheduled a kickoff meeting in one month’s time. By the time we connected again, Doppel had already pivoted. The company was now focusing on cross-fit athletes. And gyms. And owners. They were focusing on anything and everything. As designers working with ventures, our main goal is to provide capacity to teams that lack design and product expertise. Our work may range from helping ventures to understand their data to providing a set of fresh eyes to look at an old problem. We work with early-stage startups, helping them to scaffold the user experience of their products and to validate their products, but we also work with more advanced ventures, helping them to align their product development toward growth. In Doppel’s case, the team needed to get out of the building to collect data. So we went out and started interviewing people. 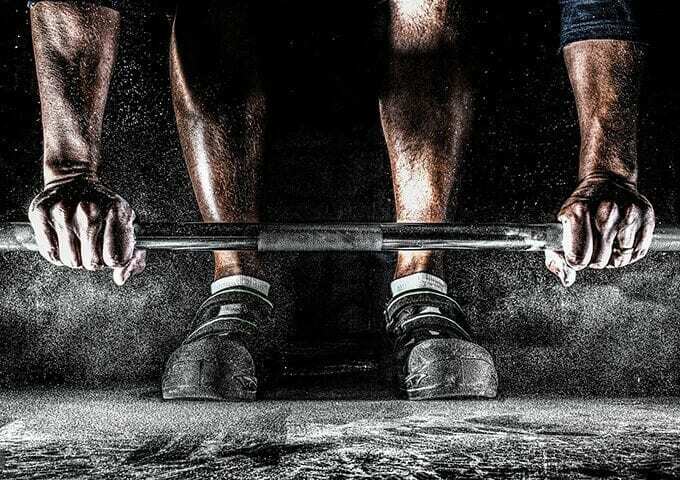 We talked to gym owners, athletes and trainers, seeking to uncover their needs, pains and, most importantly, their goals. 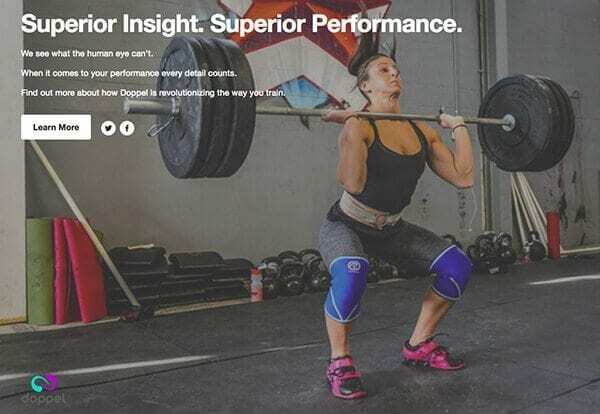 Doppel Move helps users track workouts to optimize training. At MaRS Design we conduct a minimum number of targeted interviews. By using spectrums and identifying patterns we get to understand user segments pretty quickly. 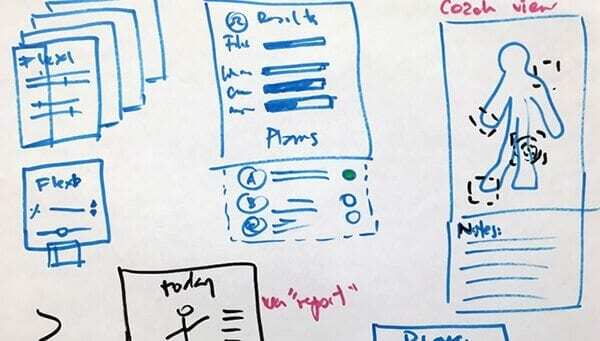 We look specifically for goals because, by unveiling goals, we know that we get a better shot at designing solutions that users didn’t know were possible. We learned this from Cooper and are big fans of their work. Data is great, but it’s not design. One of the problems we constantly see when working with ventures is that the founding team struggles to translate the data collected from the interviews into a minimum viable product or into product enhancements that are in alignment with user experience. Snapshot of storyboarding. 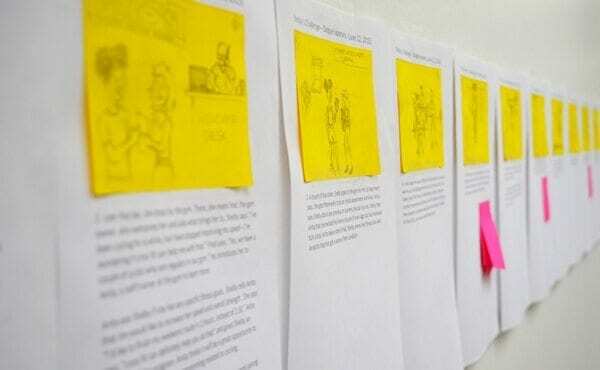 The MaRS Design team worked with Doppel Move to storyboard the user journey with the company. With the interview data on hand, we storyboarded the user journey and conducted focused explorations. We brainstormed ideas about what we could do at specific points in the users’ journeys to help them achieve their goals more efficiently and with delight. Ben was surprised with the results. “We had no idea what to do with that data. That was just a very eye-opening experience, to see what goes into the next step. I did like the regular check-ins that we had. I found them to be useful in my own understanding of what was going on and how to move forward in the next few steps,” he said. Following exploration, we were ready to start consolidating the best ideas into a design concept. Within a few days we helped the Doppel team to prototype a basic product in Keynote. The team then used this prototype to gather more data through solution interviews, testing the concept with real users before the next iteration. They were on their way. Snapshot of the design process. The MaRS Design team worked with Doppel Move to create design concepts for the startup’s app based on data collected in the exploration phase. Months later, we connected with Doppel again to see what the team was working on. Solution interviews with potential clients had helped them realize that the technology they were planning to use (wearable sensors) was not the best fit for their solution from a user experience perspective. Their concept is gaining traction. As part of their solution interview process they had signed up a pilot site to conduct onsite testing and they’re now in talks with more gyms. The Doppel team continues to explore and refine their product using a process that will help them create something people will actually use. “As a company we started at Point A and then we kind of moved to Point C, somewhere off the map. Then you guys came and you pretty much steered us into the right direction. It was a much straighter method than zigzagging all around and going on all these little side quests in order to achieve a great product,” said Ben. If you have a startup venture in the Toronto or Waterloo area and want to learn more about how MaRS Design can help you, schedule a free 45-minute design consultation today. Find out more on the MaRS Design website.